To support growth and development of child while supporting the woman’s body throughout pregnancy by giving her more energy, skin elasticity, muscle relaxation etc. Available at Health Food Shops, some pharmacies or via myself. Schuessler Tissue Salts; large tablets like supplements. 1 Tablet per dose. I sell 125 tabs @ $14 each. Buy 4 or more @ $ 13 each. Example of dosage during month 1: Calc-fl in the morning, Ferr-phos noon and Sil in the evening. Quantity per dose depends on the brand you chose. Any questions please feel free to ask me. Do not worry if you take the not indicated tissue salt, get mixed up or miss a dose. This is not medicine but a mineral support. 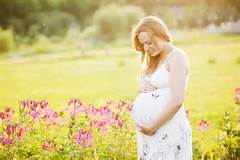 Try to relax and enjoy your pregnancy!